Post news Report RSS	New update (v1.0.3) now available! This update includes 20+ indie cameos (The Binding of Isaac: Rebirth, Octodad, Goat Simulator, and more), a new bonus level (Box Purradise), Japanese localization, and more! The latest update for Catlateral Damage is now available! This one includes a bunch of cool new stuff for you to play around with. 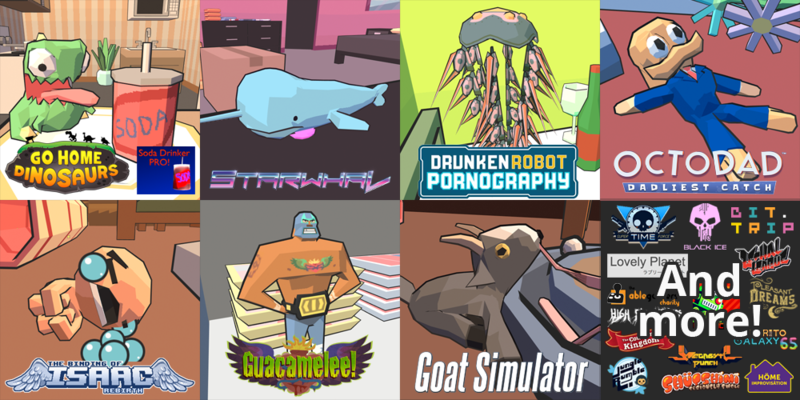 First off, I’ve added several new objects to knock over based on other great indie games like Guacamelee!, Octodad: Dadliest Catch, The Binding of Isaac: Rebirth, and Goat Simulator. (You can check out all the cameos in this album.) In addition to these cameos, I’ve also added a new bonus level: the Box Purradise! 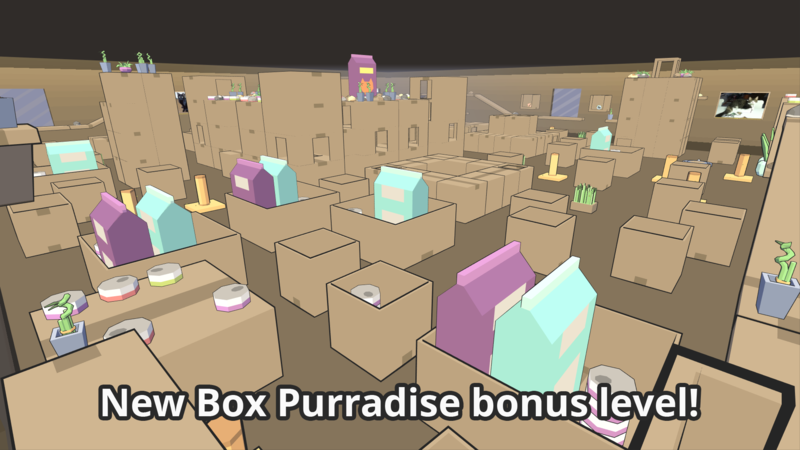 This level is made up of tons of cardboard boxes and has lots of cat food and toys to swat at. There may be upgrades and power-ups hidden within the different box structures, too. That’s not all! There are also a couple new features in this update. In Objective Mode, the scoring structure has changed from an infinite stream of levels to just 4 (plus any bonus levels you encounter). Bonus levels now give more points at the end and don’t stop your progression if you don’t complete their objectives. So keep an eye out for those special keys to get some bonus points! You also get bonus points for time left over when you complete an objective. Your highest score after completing all levels is then recorded so you can compete with others. In Litterbox Mode, you can now select the level type you want to play, rather than just playing the same sequence of levels from Objective Mode without a timer or objectives. 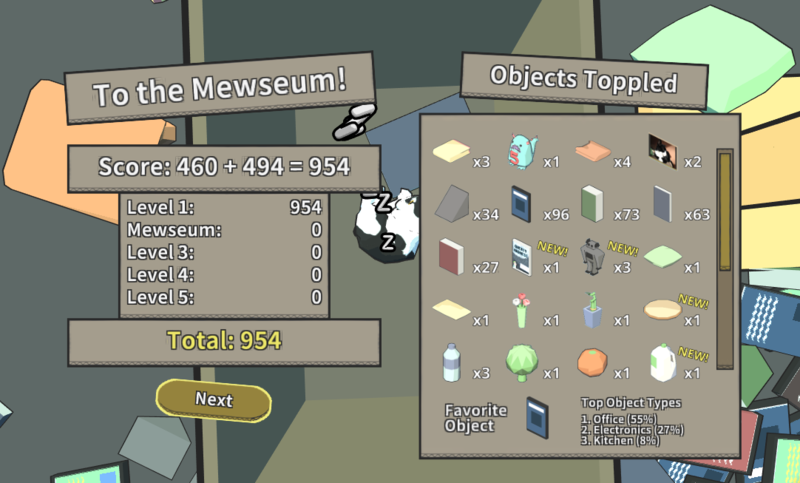 (For this reason, Litterbox scores are no longer sent to the Steam leaderboards.) You can also load previously saved levels this way. 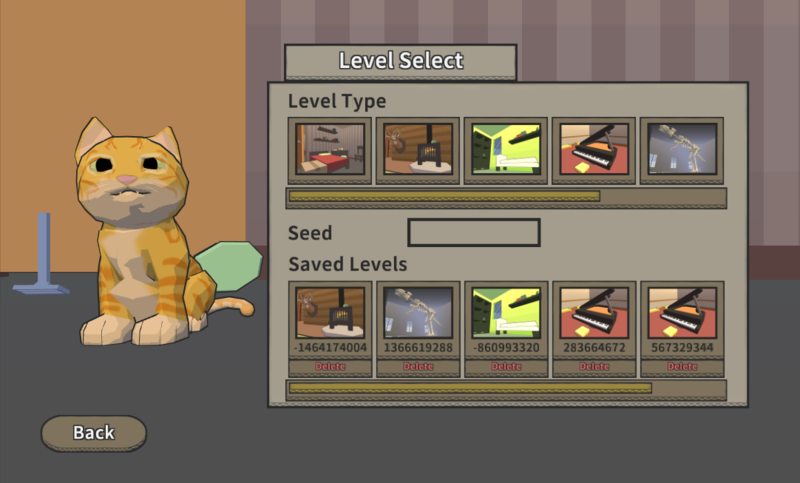 If you find a level layout you like in either Objective Mode or Litterbox Mode, you can pawse the game and select “Save Level” to be able to play in it again in Litterbox Mode. On top of all this, the game now has full Japanese localization thanks to Kakehashi Games! You can switch between English and Japanese in the Options menu under the “Other” tab. Of course, this update also includes a bunch of tweaks and bug fixes to improve the overall experience. To celebrate the release of this update, the game will be 10% off for a week! Now's a great time to check it out if you haven't yet.